Launching Tuesday, April 8, 2014, a selection of exclusive items from the Collection were available for a limited time on the new Slow Luxury online pop up shop, with the main Collection available from the Iona Crawford online store. Go to ‘Happening Now’ to read exclusive interviews, images, films, poetry, the T-shirt…and the silk pocket squares and other steely, silky surprises! This Spring, THE KELPIES, 20 ft. massive silver steely horse heads, sit powerfully in the middle of New York City, in Bryant Park. 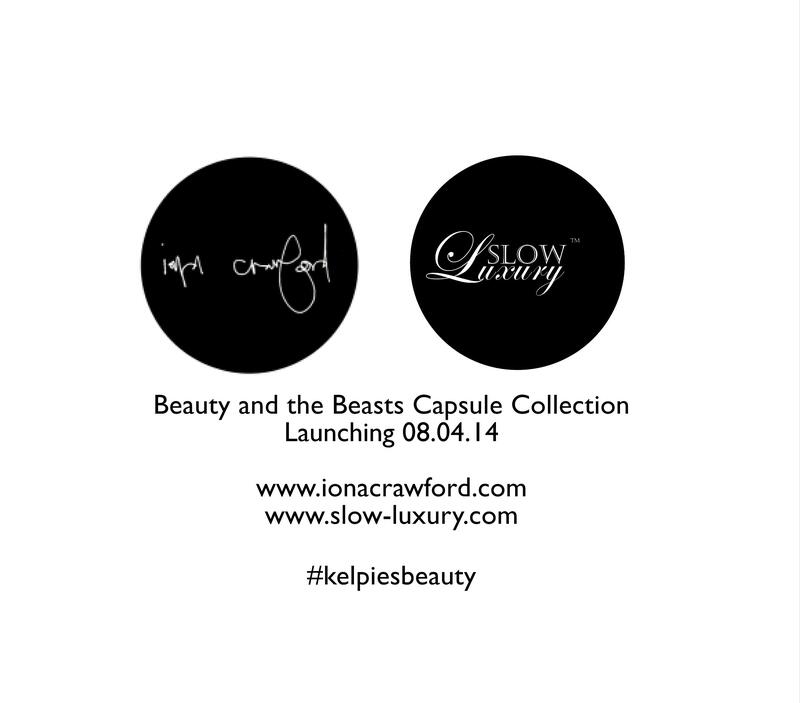 Maquettes of the famed 100 ft. high sculptures in Scotland, sculpted by Andy Scott, these beasts meet silky, ethereal Scottish damsels, bearing gifts of Spring in the IONA CRAWFORD BEAUTY AND THE BEASTS CAPSULE COLLECTION LAUNCH…all during lunchtime on April 8th at 12.55pm. An interactive performance will include live music from Scottish singer songwriter, HANNAH READ. Launching Friday, April 8th, a selection of exclusive items from the Collection will be available on the new Slow Luxury online pop up shop, with the main Collection available from the Iona Crawford online store.